This text provides a thorough treatment of the fundamental principles of fluid mechanics and convection heat transfer and shows how to apply the principles to a wide variety of fluid flow problems. The book is intended for use by final year undergraduate and beginning graduate students in engineering. The focus is on incompressible viscous flows with special applications to non-Newtonian fluid flows, turbulent flows, and free-forced convection flows. A special feature of the text is its coverage of generalised mass, momentum, and heat transfer equations, cartesian tensor manipulations, scale analyses, mathematical modelling techniques and practical solution methods. 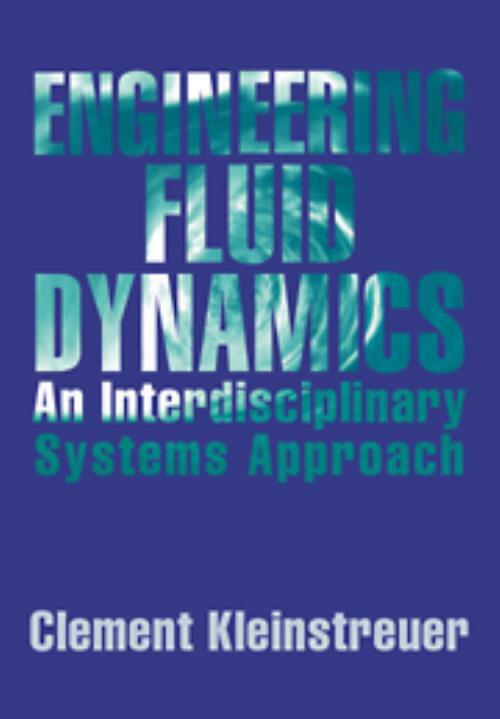 The final chapter is unique in its case-study approach, applying general modelling principles to analyse non-isothermal flow systems found in a wide range of engineering disciplines. Numerous end-of-chapter sample problem solutions, homework assignments, and mathematical aids are provided to enhance the reader's understanding and problem-solving skills. 5. Selected case studies; Appendices. Clement Kleinstreuer North Carolina State University.